231 posts categorized "Stampin Up"
When you reserve your Stamparatus through me Stampin' Up! Demonstrator Holly Krautkremer you will receive a free Classic Ink Pad your color of choice! Visit the Stamparatus Detail Page. You’ll fall in love with stamping all over again when you learn everything you can do with the Stamparatus – the BEST stamp positioning tool on the market! Why do YOU need a Stamparatus? I’ve gotta have one. How do I get in line? With the launch of this tool, Stampin’ Up! is trying something different: testing a new reservation system. It acts like a true preorder: you reserve your spot and Stampin’ Up! guarantees shipment as soon as the product arrives in their warehouse. Demonstrators and customers will place reservations and receive their product at the same time. This system will allow us to get the product to market as soon as possible while avoiding back orders and efficiently managing inventory. RESERVE TODAY for the November 16 – 30, 2017 reservation window with delivery on or around February 1, 2018. The reservation window opens at 2:00 PM (MT) on November 16, 2017. While supplies last. Once the Stamparatus arrives in the Stampin' Up! warehouse your reservation will be added to a shopping cart. Stampin' Up! will send you an email notifying you that your Stamparatus order is ready. You will need to finalize payment and close your order. Have more questions? Please feel free to email me. Technorati Tags: #promotion, #rubberredneck, #stamparatus, #stampinup, Rubber Redneck, Stamparatus, Stampin' Up! Yes I have been missing in action. After Thanksgiving I caught a bug going around and of course I became very ill thanks to my body and meds I am on. I ended up with an ear infection, sinus infection and a secondary infection ughh. I have completely lost my voice too which has been interesting! lol I think I finally have turned the corner and on the mend. Thank you everyone for the emails, and texts. Rubber Redneck December Daily On-line Class: due to me being sick the class has been delayed. I still don't have my voice back enough to do the video's. I hopping by monday my voice is back and the cough is gone to do the video's so things may go live sometime next week, but again depends on if my voice is back. Those already registered for the class thank you so much for your understanding and patience!! I really appreciate it. Orders: If your local my hubby will be dropping off your orders. I know normally you all pick them up but with me being sick we didn't want to spread this so hubby bagged everything and will deliver. Mailings will go out Monday. If you've placed an on-line order in the last week I will be emailing you. Thanks again for your understanding and patience!! From December 1, 2016, through January 3, 2017, a selection of holiday retiring products, clearance rack items (while supplies last) and high-inventory catalog items will be discounted (up to 60%). Holiday Catalog: Stampin' Up! has released it's list of retiring merchandise from the Holiday Catalog. Items may sell out quickly! Here is the the reveal AND sale (select items) of retiring Holiday Catalog Products. The list will be updated daily with what is still available. Sold out merchandise will have an “X” in the last column on the right. All retiring items will be discontinued after January 3. Use this Hostess Code and receive a free gift!! (Please don’t use the hostess code if your order is $150 or more). This year I am super excited to share my 25 Days of Christmas countdown!! This year I sent out packages to various family and close friends that included 25 days of gifts. Some of the gifts were purchased gifts others were made by us. Everyday up to Christmas I will have a fun project to share with you all plus everyday I will be posting giveaways until Christmas!!! YES 25 Days of GIVEAWAYS!!! AWESOME SAUCE!! Projects will range from cards, gift packaging, 3D's, tags and etc. All projects will be focused on Christmas. Some projects will have a video too!! I am super excited about this and hope you will LOVE it!! I had everything done (projects, video's and project sheets) and ready to go but when I became so ill I couldn't function and post to my blog. Starting today I will be posting my 25 Days of Christmas countdown. I am 10 days behind on this so until I get caught up with this and other commitments there will be 2-4 posts a day. Each post will have a giveaway all you have do is leave a comment. Each post that is part of this will have the banner posted above. All the details will be posted later this morning in the first 25 days of Christmas countdown post. I didn't forget about sharing here, this week turned to into a pretty crazy week for us first my hubby got hurt and we ended up in the ER. He bonked his head pretty good and rung his bell, but he's gonna live. :) He had a nasty headache for a few days. Then we had some unexpected jobs come up. Next few day's here I will be playing catch up so there will be more than one post a day till I have things back on track. I am excited to announce that Early Registration is OPEN for The Rubber Redneck STAMPede “Fresh Cuts” Edition 2015!! The early price is $19.99, for 6 projects, with step by step directions, full picture PDFS and Video Tutorials until July 17, 2015. That is a $5 savings off the regular price!!! On July 18, 2015 the regular price for this class $24.99. This is one event you DON’T want to miss!! These projects can be simply changed out to use any product you have on hand!!! If your a demo this class is for you! You can demo these projects for your workshops or do a stamp camp with them!! Along with the class I have 2 kit options available as well!! If you are purchasing both kits please email me after you have purchased kit 2 through my Stampin’ Up! Online store with your name, address and email for the pay pal invoice to be sent to; for Kit 1 and the $14.99 class fee. I will created a custom pay pal invoice for you. Visit the Class Information Page for more details!!! The Kit 1 will need to be purchased by July 17, 2015 and will ship to you the week of July 20, 2015. Kit 2 will need to be purchased by July 17, 2015 (If you want it in time for class). Also due to Stampin’ Up! policies I can only ship kits in the USA and no stamped images will be included in the kits. To view more details about the kit options, what is included and how you can get the “Fresh Cuts” Edition Class for only $14.99 please visit HERE. Don’t forget about my Customer Rewards Program visit HERE for the details. Fresh Cuts Edition 2015 will be your creative inspiration for all your Paper Craft Gifts, Stamp Camps and Classes!! This class will be sure to help you with all those Fresh Ideas; and gifts for friends, family, and customers! We will be creating projects using some of the brand new products out of the Main Catalog!! We will be creating projects featuring the following stamp sets: You’ve Got This, Endless Thanks, Bohemian Borders, and Build a Birthday; as well as other products from the Stampin’ Up! Idea Catalog! Visit the Class Information Page HERE for all the details!!! Click the Pay Pal Button to Register!!! Please note upon receipt of payment I will email you on July 24, 2015 after 9am Central Time with your username, password and login instructions. If you would like a different email address used instead of your paypal account email please add the correct info in the notes of the PayPal transaction. If you have taken one of my classes in the last year you will have the same username and password as before. You DO NOT want to miss this “Fresh Cuts” event! I’ve been busy creating and designing 6 days of FABULOUS Projects for you! Each project will have step by step instructions with full photos in downloadable PDF format along with video tutorials!! If you have purchased my past online classes this is the same great value that you are accustomed to! Certain projects and tutorials will be available for individual sale at a later date. There will be 2 -3D items, 1 scrapbook pages, 3 cards, color combo challenges, and best of all PRIZES ranging from Stampin’ Up! product to free classes!! That’s right, all of this in 6 days for the “Summer Fun”online class!! WITH NO REPEATS!! Only current Stampin’ Up! products will be used in these tutorials. Please note, I will be participating along in the color challenges. Anything I make for the color challenges I reserve the right to post to the public. Today share is a card I created for the new color challenge over on The Rubber Redneck STAMPede Site head on over to the site to play along. You can play along with the challenge and get a chance at the FREE Pass giveaway for the Fresh Cuts On-line Class! I am actually using two of the stamp sets that will be featured in the upcoming Fresh Cuts Class too! I am excited to announce the details on the New Product Shares for the Stampin' Up! 2015-2016 Catalog are now available!!! Some of you have been asking me to offer this so here you go :) This is a great way to get a sample of all the products before deciding on which one you want to purchase first! If you are interested in any of the product shares simply email me to reserve your spot and I will add you to the list!!! Email me: rubberredneck@gmail.com and I'll send out Paypal invoice once the spots are all filled up. The paypal invoice will need to be paid within 48 hours. I will place the order (assuming there are no back-orders) once the order has shipped to me from Stampin' Up! I will divided out the shares and ship them directly to you home. Please note this is very time consuming so it will take a few weeks. Thanks in advance for your patience! All shares will go out by US Priority Mail. Once the share's have shipped I will email you a tracking number. If there is a delay I will notify you as soon as I find out. Below is a picture of the how the ribbon shares will come. Ribbon will be wrapped around card stock that has the printed name and item number listed below. Designer Series Paper Share 96 pieces ($25.00+ $5.75 Shipping): This 6 x 6 Bundle includes; 6-6x6 sheets from the following paper packs Everyday Chick, Bohemian, Everyday Chic, Bohemian, English Garden, Farmers Market, Sweet Li’l Things, Merry Moments, Timeless Elegance and Schoolhouse. 12-6 x 6 sheets from Color Me Irresistible (6 in color and 6 in white). It also includes 12, 6 x 6 sheets from the following stacks Go Wild, Cheery on Top, and Pretty Petals.You’ll get a total of 96 sheets of 6″ x 6″ Paper! Dotted Lace Trim Share ($7.25 + Shipping): This share includes 5 yards of ribbon total, 1 yard of each new 2015-2017 In Color Dotted Lace Trim Ribbon. The colors are Cucumber Crush, Mint Macaron, Delightful Dijon, Tip Top Taupe, Watermelon Wonder. It is beautiful sheer lace ribbon!! 3/8 Stitched Satin Ribbon Share ($10.75+ Shipping): This share includes 10 yards of ribbon total- 2 yards of each of the 5 new colors released in the 3/8″ Stitched Satin Ribbon. This ribbon comes in the following colors – Basic Black, Crumb Cake, Melon Mambo, Pacific Point and Whisper White. Gorgeous soft satin ribbon with tone-on-tone stitched lines down the center. 5/8 Striped Cotton Ribbon Share ($8.50+ Shipping): This share includes 10 yards total- 2 yards of each of the 5 2014-2016 In Colors 5/8 Striped Cotton Ribbon. This ribbon comes in the following colors; Blackberry Bliss, Hello Honey, Lost Lagoon, Mossy Meadow, and Tangelo Twist), This ribbon is soft, versatile cotton ribbon with colorful strips!! Perfect for many projects! Thread/Sequin & Ribbon Share ($9.55 + Shipping): This share includes 40 yards total- 3 yards of each of the 5 new colors of Thick Baker's Twine; Bermuda Bay, Calypso Coral, Cherry Cobbler, Smoky Slate, Very Vanilla, 2 yards of each of the new colors of Sequin Trim; Blushing Bride, Silver, 1 yard Smoky Slate Chevron Ribbon, 10 yards of each of the Metallic Thread; Gold and Silver. You will receive a total of 40 yards of Trim, Twine, Metallic Thread and Ribbon with this share! New Accessory Share ($9.50+ Shipping ): This share includes approximately 175 pieces- 5 In Color Blossom Accents (1 of each color), 6 Metal Rimmed Pearls (2 of each of the 3 sizes), Approx. 75 Metallic Sequins, Approx. 75 Brights Sequins, 3 Expression Natural Elements (1 of each of the 3 sentiments), 15 White Perfect Accents (5 of each of the 3 sizes), 6 Classy Designer Buttons (2 of each of the 3 designs). That’s approx. 175 pieces!! 2015-2017 In Color Share($14.60+ Shipping): This share includes Includes: 5 Blossom Accents (1 in each of the 5 colors), 20 6x6 In Color Designer Series Paper (4 different prints in the 5 colors), 20 6 x 6 In Color Envelope Paper (3 different prints in the 5 colors), 5 yards total In Color Dotted Lace Ribbon (1 yard of each of the 5 colors). This awesome new products are in the following colors; Cucumber Crush, Delightful Dijon, Mint Macaron, Tip Top Taupe, Watermelon Wonder. Great way to get a little sample of the new In-colors!! I Want it All Share!!!!! (85.13 + $5.75 Shipping): You want a sample of it all then this share is for you! Get all 7 Shares I have listed above in this share!!! Purchase the I want it ALL Share and receive a little thank you gift plus the card that comes in the Designer Paper Share!!! So much easier than trying to decide what to get! Want to sign up for 1, 2, 3 or all the shares?? *What share or shares you want. I will always do my best to get this product out to you as soon as possible, and I will be putting in the orders as each group fills and sending them right back out as soon as they arrive here and we repackage the products for you, (unless there are any back orders or items sell out). Technorati Tags: Demonstrator, Holly Krautkremer, Product Share, Rubber Redneck, Stampin' Up! New Weekly Deals, and New Sale-a-Bration Items!! Be sure to scroll down past this post to view the St. Patrick's Day Post and Sketch Challenge from The Rubber Redneck STAMPede!! Sale-A-Bration is HERE!! It runs Jan. 6- March 31, 2015!! FREE PRODUCT! For Every $50 in product you spend (before shipping and tax), get a Sale-A-Bration gift FREE. Click to download the Sale-A-Bration Catlaog. IMPORTANT: Please be sure to use the product numbers in the flyer above!! Click the link above to view the PDF or Print off. New Sale-a-Bration Products!!! March 1-March 31 there are four new sale-a-bration products available for you to choose from!! 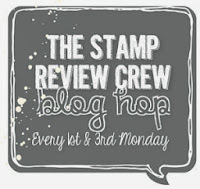 Stampin' Up's biggest promotion of the year!!! 3 ways to Earn FREE Product!! * SHOP: For Every $50 in product you spend (before shipping and tax), get a Sale-A-Bration gift FREE!! * BONUS HOSTESS DOLLARS: Stock up on items (the old incolors will retire this year) or combine your order with friend's orders to place an order of $250 or more (before shipping and tax) and earn a $25 host dollar bonus. Bonus Host Dollars are available with on-line orders too!This bonus is in addition to earning a FREE gift for every $50 you spend (before shipping and tax) during Sale-A-Bration. Check out the hostess chart below. * Join Stampin' Up! : During Sale-a-Bration is a great time to join Stampin' Up! with the $99 Starter Kit. From January 6-March 31 you can choose one or two FREE Product Bonus Options. NEW WEEKLY DEAL(March 17-23, 2015 ONLY) whiles supplies last. New Photopolymer Stamp Set: Justin Kidding Stamp Set item #140067 This funny new set is just what you need for laughs that will last. It's so versatile, you'll find yourself using it over and over again. During Sale-A-Bration, you can get a 3-month Paper Pumpkin Prepaid Subscription for just $54.85. Get a discount and instantly qualify for a Sale-A-Bration reward? Yes, please! Stampin' Up! is offering prepaid subscriptions!!! Just order the subscription length of your choice (1, 3, 6 or 12 months) and you’ll receive a redemption code that you can use it to redeem your subscription on mypaperpumpkin.com Learn more here. Rubber Redneck Monthly Kit: Sheltering Tree is available to purchase! This kit will make 3 cute and fun projects; 2 different designed cards and 1 Polka Dot Tag A Bag perfect for friends, family or as a hostess gift! All three projects focus on Sheltering Tree stamp set ONLY. For details on how to purchase the kit and class or just the class visit My Monthly Kit Page. Place an order through my Stampin' Up! On-line Store in the month of March 1-31, 2015 and receive this card made by me and a free mini pdf!!! Once your order is placed and I have confirmation from Stampin' Up! I will email you the mini pdf at the end of February. Your card will be mailed out with in 3 business days. Please note- if you check no contact then I can't mail this card to you. Everyone who places a $50 order (before shipping and tax) through me during the month of March 1-31, 2015 will receive the Sale-A-Bration On-line Class through me FREE!!!! All you have to do is place an order through me or my Stampin' Up! On-line Store for $50 (before shipping and tax). On March 28, 2015 after 8am Central time you will receive a link to access the on-line class. If you place your order after the 28th you will receive the link to access the Sale-a-Bration Class within 24 hours. For more information on this class please visit the Rubber Redneck Sale-A-Bration Class Page. I thought I posted this yesterday but I didn't lol. Every Friday I will be hosting the Scrapbook Saddle Up with y'all!! It will feature a scrapbook layout to a scrapbooking album ideas along with tips, techniques and etc!! I am sharing another part of my project life journal. One thing I have found too since I started this project I miss doing my 12 x 12 layouts I love the hole pocket scrapbooking a LOT but I really like creating 12 x 12's too so I decided I am going to include 12 x 12 layouts through out my album as I go too. * Our journal card is attached to Early Espresso card stock so it's ready to go in the pocket. * This summer my husband got my a Silhouette for our anniversary!!! It is AWESOME so I downloaded some baking images since I didn't have any stamps related to baking. I kept it pretty simple. * I used the Project Life Journal Cards to create a journal spot on my layout. Tip~ to save time the Project Life Journal Cards are the perfect size to added to your scrapbook layout. * I used the Big Shot and the File Tab Framelits to die cut out tabs for the tops of the journal cards. * I printed the journaling onto a piece of Moonlight Designer Series Paper using my printer. It was very easy to do! Tip~ I do recommend printing on copy paper first to make sure it will fit your designer series paper. Then I embellished everything to finish it off. Technorati Tags: Basic Metal Buttons, Beach House Washi Tape, Big Shot, Daily Journal, Demonstrator, Early Espresso Stampin' Write Marker, Essential Wooden Elements, File Tab Framelits, Gorgeous Grunge, Holly Krautkremer, Make Note Rotary Stamp, Natural 5/8 Chevron Ribbon, Neutral Candy Dots, Project Life, Project Life Cards, Rubber Redneck Blog, Stampin' Up! December 16th Weekly Deals and More!! Be sure to scroll down past the New Weekly Deals and promotions to see the post for The Rubber Redneck STAMPede Color Challenge. NEW WEEKLY DEAL(December 16-22, 2014 ONLY) whiles supplies last. December 5, 2014- January 5, 2015 Stampin' Up! has stalked the Clearance Rack with lots of goodies just in time for Christmas! Clearance rack items are available while supplies last. Hurry before these awesome deals are gone!! New Photopolymer Stamp Set: Snuggles And Smooches Photopolymer Stamp Set item #140326 This fun set will surely bring a smile to many faces and is a great way to let others know you love them. New Photopolymer Stamp Set: Gentle Peace Stamp Set item #139523 This beautiful Christmas set will work well with Blendabilities for a gorgeous stained glass look. New Stampin' Up! Photopolymer Stamp Set: Banner Blessings item #136720 This uplifting set will surely bring a smile to many faces. A crowd favorite, this stamp set will be sure to shine. Stampin' Up! is offering prepaid subscriptions!!! Just order the subscription length of your choice (1, 3, 6 or 12 months) and you’ll receive a redemption code that you can use it to redeem your subscription on mypaperpumpkin.com Learn more here. Need more ideas for christmas? My 12 Days of Christmas Class is for you! The class is over but you can still purchased the class to get 12 projects, 12 Mini PDFs and 12 Video Tutorials for $12.99. That is a $1 per project!! Visit the Rubber Redneck 12 Days of Christmas Page for details and kits!! Rubber Redneck Monthly Kit: Cheerful Tags Kit is available to purchase! This kit will make 3 cute and fun projects; 2 different designed cards and 1 bag box perfect for friends, family or as a hostess gift! All three projects focus on Cheerful Tags stamp set ONLY. For details on how to purchase the kit and class or just the class visit My Monthly Kit Page. December 9th Weekly Deals, New Photopolymer Set and More!! Be sure to scroll down past the New Weekly Deals and promotions to see the post for The Rubber Redneck STAMPede Sketch Challenge. NEW WEEKLY DEAL(December 9-15, 2014 ONLY) whiles supplies last. I will be posting a few sundays this month to help get you ready for christmas! I have a beautiful gift idea for you today. I created this for a sneak peek bonus idea in my 12 Days of Christmas On-line Class. The class is over but you can still purchase the class! There are 12 projects for $12.99!! Visit the Rubber Redneck 12 Days of Christmas Class Page for the details. My box uses the stamp set called Letterpress Winter from the Holiday Catalog. I also created this for the Creative Crew Design Team over on Splitcaoststampers! * If you need a fast idea for packaging Stampin' Up's Tag a Bag Gift Boxes are perfect!! They are so easy to assemble and decorate. * Add some card stock across the window to help hide your gift. * I used the Letterpress Winter Stamp Set to decorate my card stock. * Zip the Pistachio Pudding card stock through the Big Shot with the Lucky Stars Embossing Folder. * To dress it up I created a belly band with the Typeset Specialty Designer Series Paper. STARTS TODAY!!!! December 5, 2014 Stampin' Up! has stalked the Clearance Rack with lots of goodies just in time for Christmas! Clearance rack items are available while supplies last so please be ready to order your favorites. Hurry before these awesome deals are gone! !